We are heading into one of my most favorite times of the year friends. The holiday season. Thanksgiving, Christmas and a brand new year are all just around the corner. 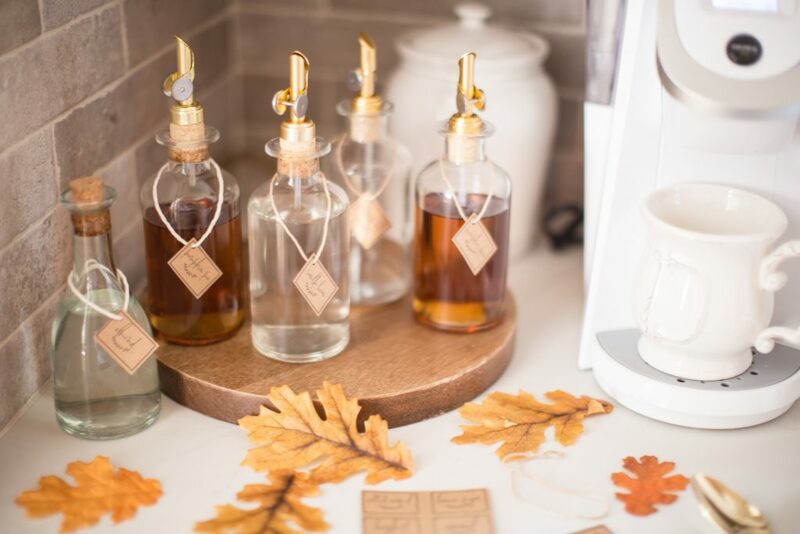 Us bloggers love to bring you early fall ideas so that you can get a head start with your own plans! 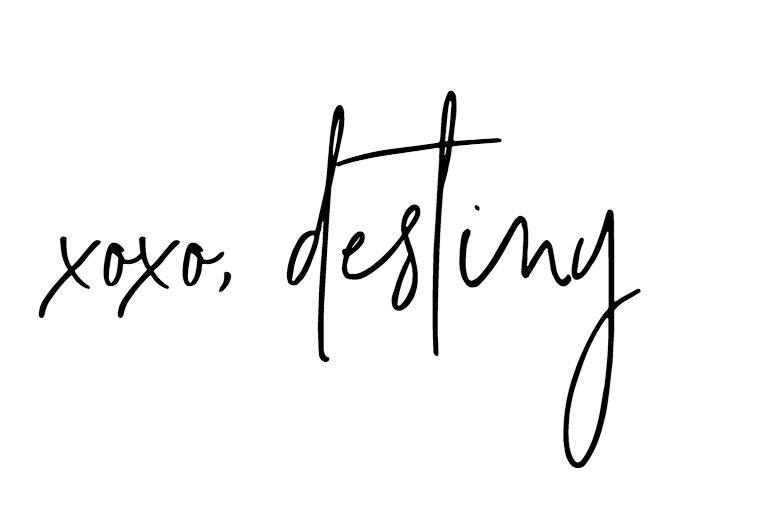 Each year I join a host of bloggers to bring you free printable and this year is no different! 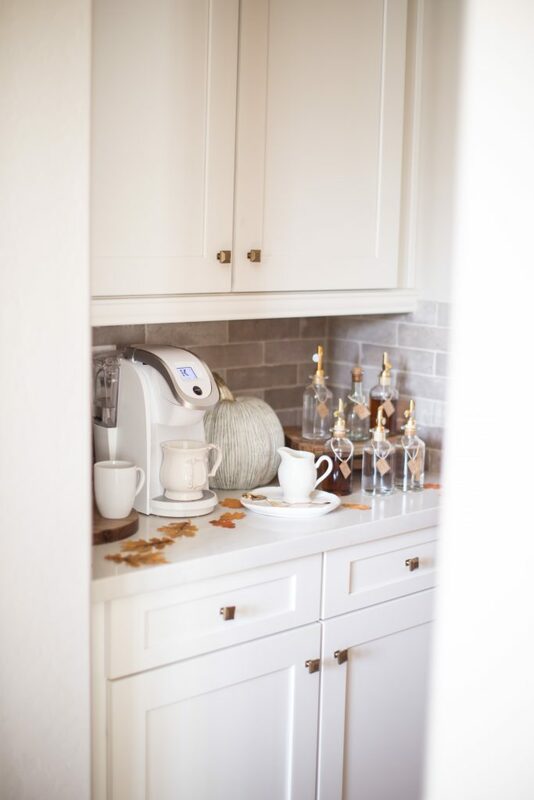 I LOVE setting up a coffee bar in my home for the holiday season. Did you know that I didn’t even start to drink coffee until about 3 years ago! But once I had my first taste of ice cold Dutch Bros coffee ( Iced Kicker is my fav) I was hooked! 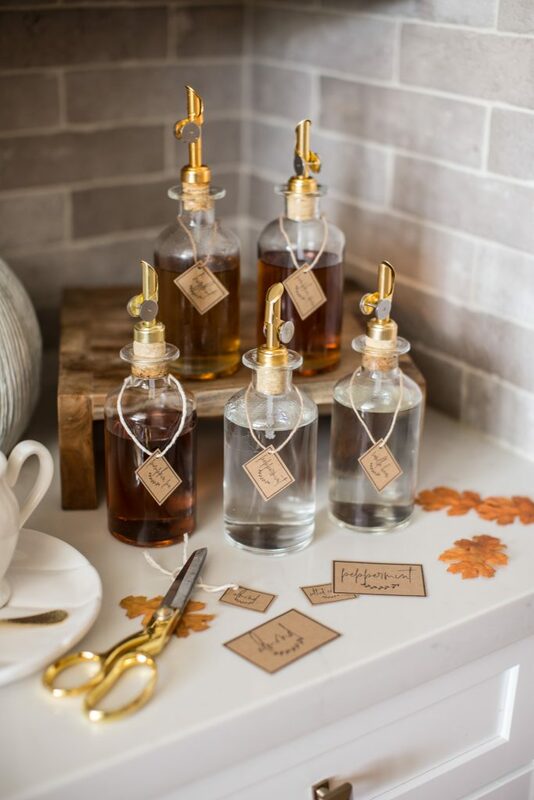 This year I created a cute set of fall inspired coffee syrup labels. 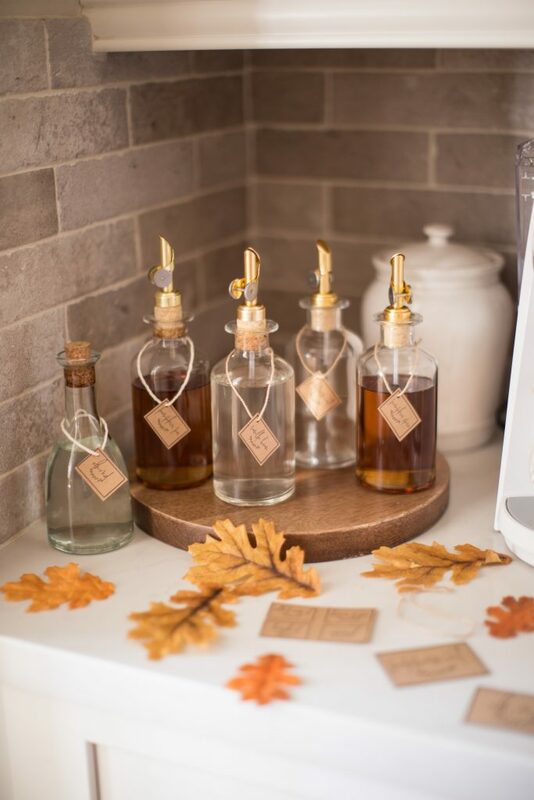 I love to put my syrups in these oil dispensers that you can get for a great price here! I think it gives a elegant look and makes the entire bar look more inviting! Simply download the printable small or big and use them at your coffee bar this year! The small ones can be hole punched and tied with ribbon, while the larger ones can be printed out on sticker paper and put on the fronts of the containers! 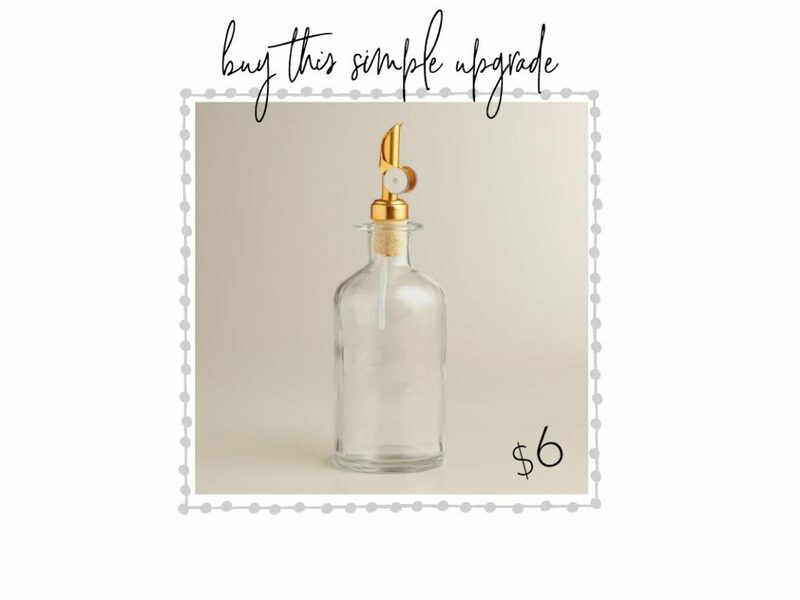 You can also print it on kraft paper or cardstock in any color to customize it for your bar area! Shop the entire look here! Check out the rest of the printable line up this year! You are going to love them!!! Yum!! 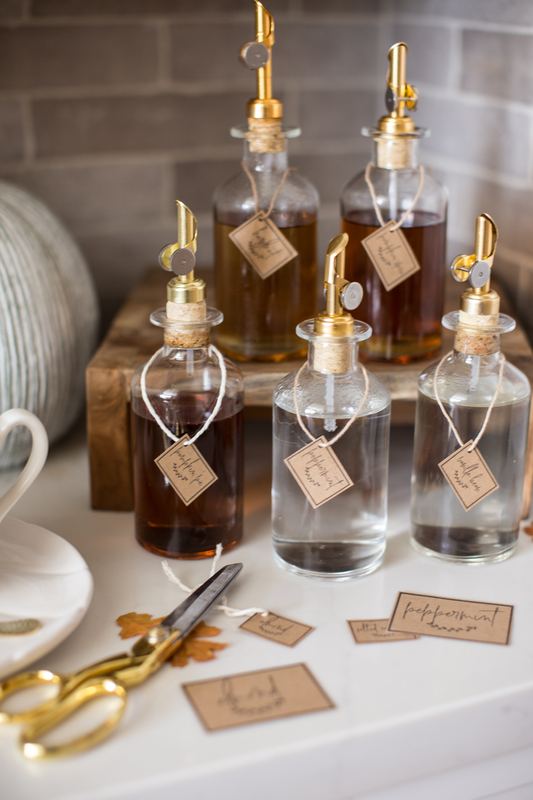 I need to come by your house for a cup of coffee — you have a wealth of syrups and those jars are perfect for displaying. 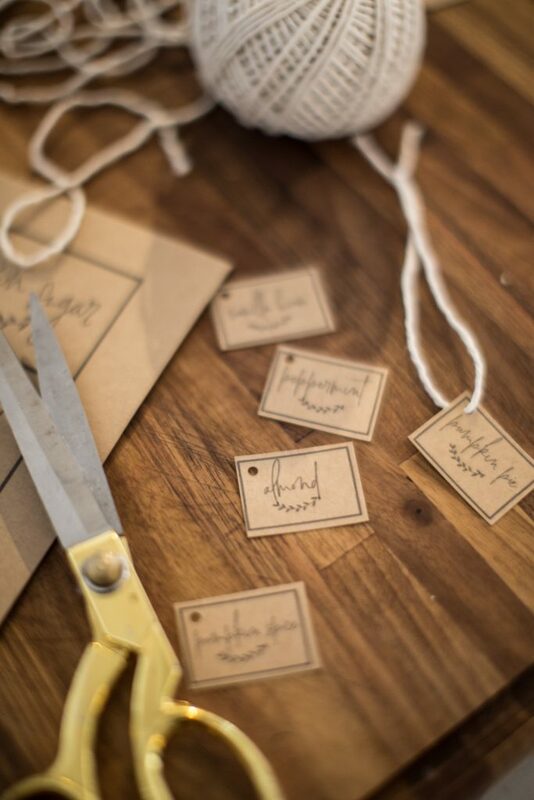 Love the printable label idea too. Happy (soon to be) Fall!! Hugs. Right! Im all about my syrups! Thanks for stoping by Kelly! I’ll have a decaf soy latte please! Love this fun idea! Coming right up! haha! THanks for stoping by! 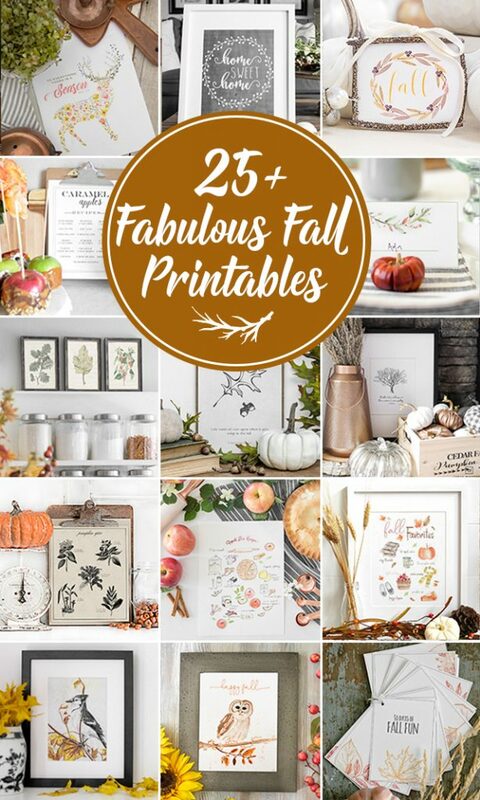 These printables are awesome! Love them on those bottles. Haa!! I didnt know how awesome it was. I’m a whole new woman! haha! These are lovely! 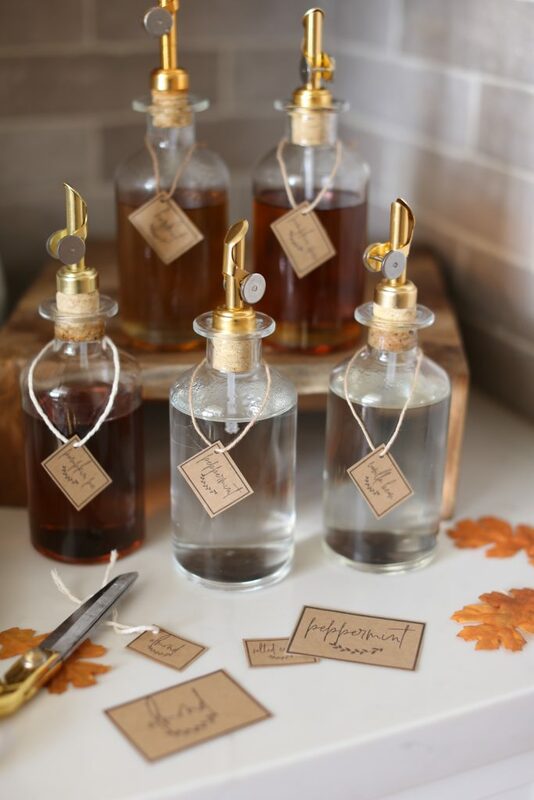 I love how these bottles have a timeless, classic quality and your labels are perfect with them. I actually bought three and going to borrow your idea and use your labels. LOVE so much. Love these printables, thank you! Are all the flavorings to match found at WM?